Long Creek Provincial Park was established as a result of the Cariboo-Chilcotin Land-Use Plan Goal 2 (Special Feature) process. It protects a unique mineral lick used by mountain caribou (a species at risk) and other wildlife. The lick is located in a low, wet, sub-alpine meadow at the confluence of a number of small streams. It is believed to be one of the few mineral licks used by mountain caribou in this area. 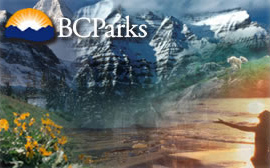 The park is located approximately 96 kilometres northeast of Williams Lake. The management plan for Long Creek Park was approved April 2016.